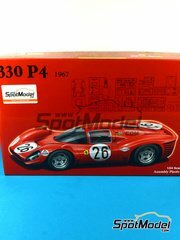 You all know that, here at SpotModel, we're all tall, handsome, with clear blue eyes, we like both cars and bikes, we build several models every day, and we airbrush freehand with both hands and without even using masking tape. You may think: they're perfect!! Nothing farther :) If we were, we wouldn't have to stop delivering your orders three days a year to recheck our warehouse inventory. 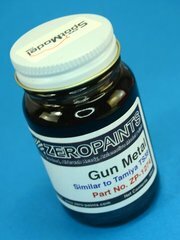 The number of references we're selling keeps growing non-stop, and we have to make a mandatory pause to place new shelves, reorder all the materials, and double check our stock to make sure everything is right and up to date. So during these three days we will NOT be shipping your parcels, although you can of course keep placing your orders on the website and they will be sent first time on monday morning. 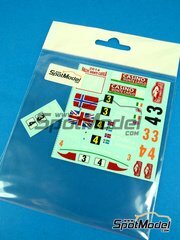 While we're at it, you can have a look at the latest products just arrived, such as the recently announced Racing Decals 43 and Reji decals for the Lamborghini LP670, the MP4-13C, the Fabia and the WRC Peugeots. 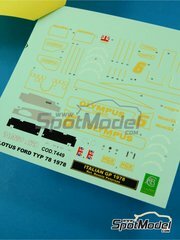 Other freshly baked beauties are some new Fujimi kits, several references from Zero Paints, and the Lotus Ford Type 78 from Tameo. 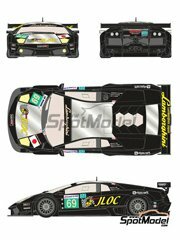 Do not miss this amazing decal for the JLOC (Japanese Lamborghini Owners Club) Lamborghini LP670 R-SV that raced in the recent Le Mans 24 hours in 2010, the car a many people believe is not the one that did just two laps and then retired this car retired after 138 Laps. 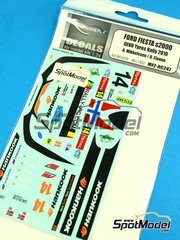 Do not miss this amazing decals for Hayden Paddon first S-WRC win in his second rally in the 2012 Rally de Portugal. 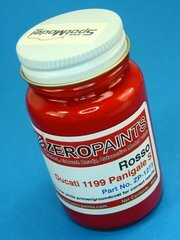 Beautiful red color formulated by Zero Paints for decorating the Ducati 1199 Panigale S.
All paints are pre-thinned for airbrush use, to a consistency suitable for airbrushes with nozzle sizes of 0.3mm upwards. 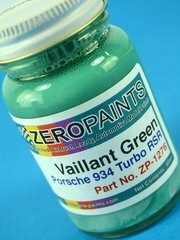 It is NOT recommended to overthin the paint: mixing too much thinner will increase the chance of the paint becoming too hot during application, thus affecting/melting the plastic below the primer. 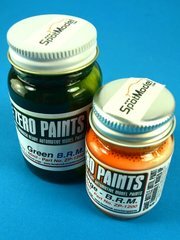 If unsure, we recommend you to test it first before applying to your kit. 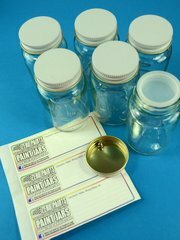 Use this six spare 30ml bottles to keep you own paint mixes alive! 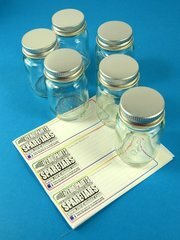 Use this six spare 60ml bottles to keep you own paint mixes alive! 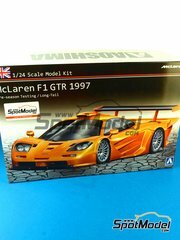 Aoshima introduces us the first version of the McLaren F1 GTR Long Tail, used during the preseason tests. 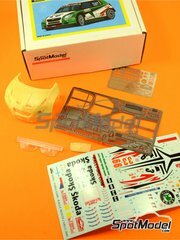 The kit features a fully detailed engine, Italy printed decals by Cartograf, masks for painting window frames, and an infinite parts break up for building one of the most beautiful race cars of the 90s. Body molded in white, interior and chassis molded in white and black. 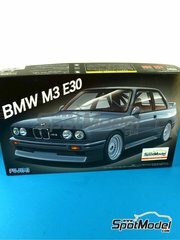 Features matte chrome wheels and black rubber tires, plus decals for the exterior and interior. 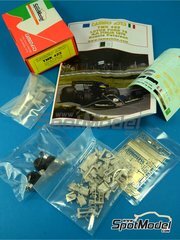 A curbside kit, with no engine parts. 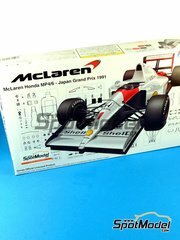 Finely molded in white and clear styrene with nicely done matte chrome wheels and black rubber tires, the kit includes number pads for car #26. 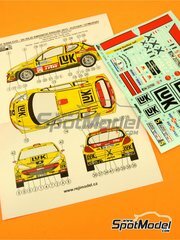 Includes a nice sheet of photo-etched metal detail parts from KA models, too. 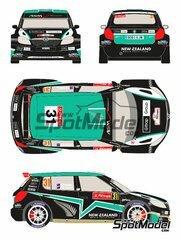 No engine is included, but a bit of transmission detail is provided.